Sun Street is a named for the Sun Hotel which was just a little way up it. 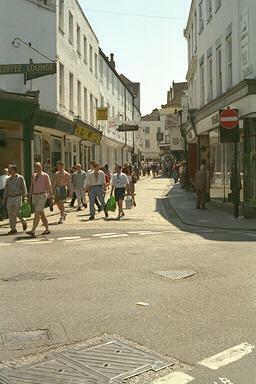 It leads into Buttermarket and from there to the Cathedral or the centre of the city. On the right is Deakins. Deakins sells clothing and has been here for over 140 years.